Something to look forward to: On Wednesday iRobot, the maker of the Roomba announced Terra, the newest robotic tool in its product lineup. Terra is a lawnmower that uses advanced mapping technology to maintain your yards. We reported clear back in 2015 that iRobot had applied for and received clearance from the FCC to produce a “handsfree” mower. It’s been four years with no word on the project until today's press release. Terra is by no means the first robomower. 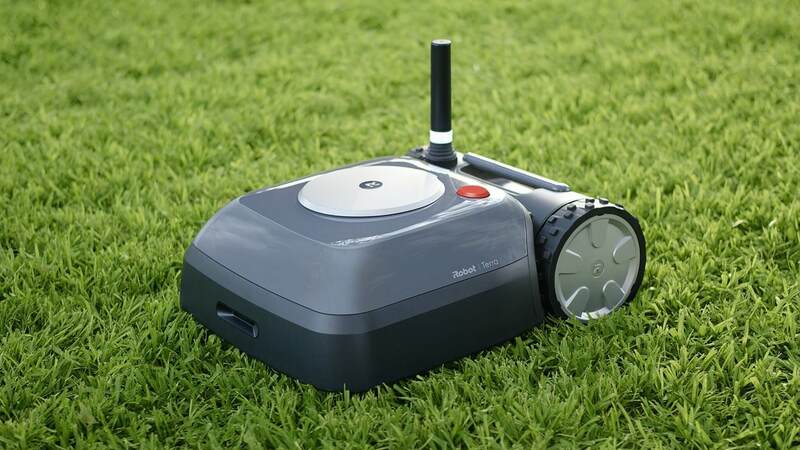 Honda released the Miimo robotic landscaper in Europe back in 2013. It works just like a Roomba but in order to create “walls,” wire must be strung around the areas to be mowed. Installation requires a Honda professional and can be quite expensive. Terra looks to eliminate this problem with literal wireless technology. To define boundaries, you just place electronic beacons around the yard. Then run the robot one time about the perimeter. After that, it will have learned its outer bounds and mow in a back-and-forth pattern. Terra keeps track of where it has mown. So if the battery runs low, it will return to its charging station to juice up then continue where it left off. For internal boundaries, users will use the iRobot Home app to define areas that are off-limits such as flowerbeds. The app can also be used to customize the cutting length and schedule operating times. Terra joins the iRobot family alongside its siblings the Roomba vacuum and the Braava mopping robots. Terra is not quite ready for market, but it’s close. iRobot says it will be beta testing the mower in the US sometime in 2019. No estimates on pricing are available yet. Keep an eye on the iRobot website for more info.